David is excited to be part of the Schechter community for his 14th year as an 8th- grade math teacher and the 8th-grade Head Advisor. He holds a B.S. in Engineering from the University of Connecticut (UConn) and an M.S. in Computer Science from Worcester Polytechnic Institute (WPI). Prior to working at Schechter, David worked in the computer industry for 25 years as a computer programmer, corporate customer service engineer and engineering manager. Every year, David looks forward to the 8th All-Hebrew Musical and the opportunity to see talents that are hidden in his math class! He also looks forward to the Israel Study Tour which allows him the opportunity to interact with students outside of the classroom and to get to know them on a personal as well as academic level. 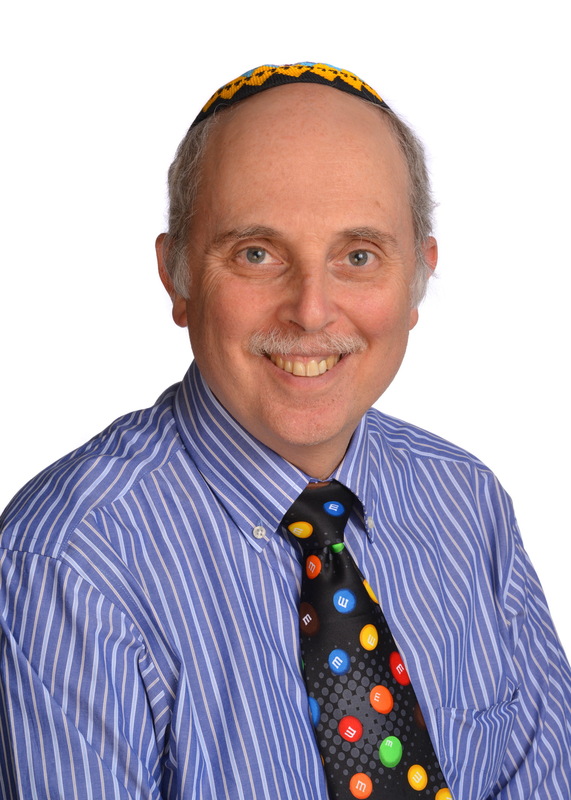 In his free time, David has been volunteering for United Synagogue Youth (USY) for over 40 years in Connecticut (Hanefesh) and New England Region USY (NERUSY) in various capacities. He has staffed 37 USY International Conventions, 34 NERUSY Spring Conventions and 34 NERUSY Encampments! David feels #SchechterPride when students choose to stay in touch after school ends as that is when he knows he has really made a difference. In addition, he feels #SchechterPride when he reconnects with former students who tell him how well Schechter prepared them for high school and how much they valued their education. It makes him proud to be part of a school that has such a positive impact on its students.